At Plastik, we manufacture garbage bags and waste bags for just about every purpose. 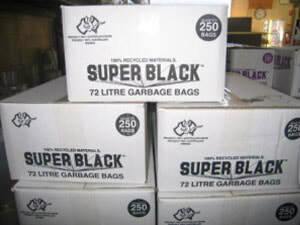 Our SuperBlack range is made from 100% recycled plastic. These products are available in flat packs or as Bags on roll. We can manufacture waste bags to suit all commercial bins available, from 18ltr, right up to 3 cubic metre bins. Whatever your bin size Plastik can manufacture a bag to line it for you. 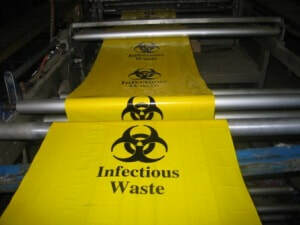 Clinical Waste bags for contaminated material are one of our specialties. Contaminated Waste and Asbestos Bags are all available, but if you need something more specific just ask.